I’ve added some steps to my adult bronze solo free dance. I hope you can see the progress. My music is ‘Clap Your Hands‘ by Parov Stelar. I had wanted to use music from the electro swing genre and spent a lot of time listening to an electro swing Pandora station before I made a few selections. ‘Booty Swing,’ also by Parov Stelar, was my favorite, but coach Sharon told me that lots of people had skated to it. She preferred the novelty of the ‘Clap Your Hands’ tune and we both like it quite a bit, too. But I can’t quite let go of the topic of Booty Swing without showing you its music video, which has some great stuff by Fred and Ginger. Now aren’t you a little bit happier after watching that? ‘Clap Your Hands’ samples and speeds up a 1938 Glenn Miller tune called ‘Doin’ The Jive.’ The tempo is quite fast. At a lesson with Sharon when I’d done the footwork we’d worked out so far and bemoaned how few seconds all that footwork took up, she said, “You were the one who picked out such a fast song.” Fair. New Skating Music: So Excited! Music for my new freestyle program: the intermezzo from between the second and third acts of Carmen. Check out Emmanuel Pahud's sweet flute solo in his rendition of it. Skating the Fiesta Tango Passing the third and last pre-bronze ice dance, the Fiesta Tango. 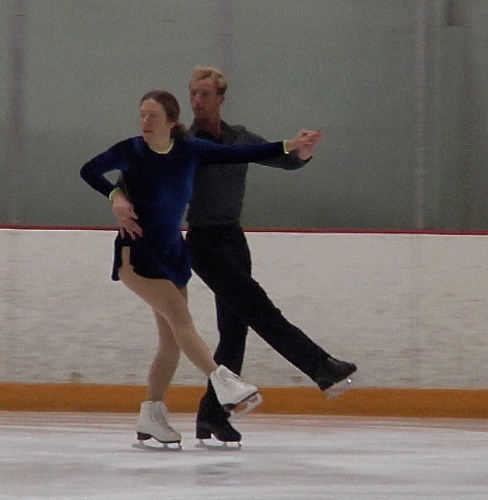 Changes, Again My ice dance coach/partner moves on. Mary, I’m clapping my hands! Love those twizzles and the toe-tapping footwork. This is such a fun piece of music–perfect for a solo free! Thanks for sharing your progress. Thanks Joe! This is definitely a fun one! Bravo on those twizzles – you make them look so easy! This looks like such a fun program to skate, Mary. I can’t wait to see your costume for this! Thanks Eva, I’m glad the twizzles looked good. The double one can be wonky. I have ambitions to keep working on twizzles and get better at them. I need to get going on the costume, haven’t been able to contact my dress maker yet. Bravo Mary! It’s coming along nicely. Twizzles are no joke! No they are not, especially when they are a little off and you are barreling through regardless. Thanks for watching and commenting Marcia! Wonderful!! Looks great and good for you going after that fast music! Thanks Michelle! How are you and your son doing with your figure skating and hockey? Any chance of a revival of IcePact? I just love watching your skating videos!! You make it look so easy. 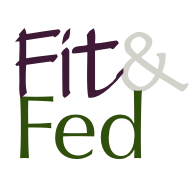 Rachel Frutkin recently posted..The Ultimate 2017 Gift Guide for Athletes! Thanks Rachel! I’m glad you thought it looked easy, that’s the goal! Fun song to skate to! Looks like you have been working really hard. I have been, on this and also on my moves! Thanks Jenn! It’s not too late to learn if you want to! This is so cool! I am impressed at your skills on the ice. I took lessons when I was a kid and…well, I didn’t get very far! Haha. Thanks Coach Henness! Maybe your growing family would enjoy doing learn to skate classes together? My husband learned along with our kids. You make skating look so easy! Bravo! I’d be laying on my face on the ice! Nice work. I love watching you skate! Well, you don’t see me lifting any barbells. Glad you enjoyed the video! Awesome job. I could never do that, you are very talented! Thanks Toni! (I’ll bet you could skate, though, if it was the thing you wanted to do, just like you find a way to run). I somehow missed your last 2 blog posts. My browser got updated and I lost all the tabs for favorite pages. So just now seeing this – looks great! Love the music and the choreo so far. I think an electric blue dress with silver would look fun. Or some other cheerful color like raspberry pink. Polka dots? The twizzles look so good. You know, I do have an electric blue dress with big square silver crystals. You probably saw it at Sectionals a few years ago. I was thinking of re-using it for this program. I haven’t been able to contact my dress maker. Thanks on the twizzles! Even though this is my first dance program I’ve included twizzles in some of my freestyle programs, and this year I’m glad to have had the practice. Mary: Solo dance! I’m always amazed at how creative people can be. 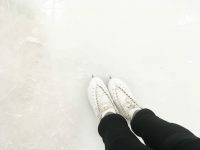 I have limited skating skills and almost no musicality. So, although I respond to music I need the structure that the ready made pattern dances offer. Having said that, I day dream about how fun it would be to take some 30s swing music like this: https://www.youtube.com/watch?v=IiO04GB6zPM and ice dance to it. Probably it’s best to just day dream–the couple in the video dancing to that old Fletcher Henderson tune are just about breathless by the time the music stops–and they look way fitter than I’ll ever be! How fun is that! Love the music and the dancing. What do you think of doing a show number with your coach? You could be mainly showing her off? I wish I’d done a show number or two with Ty while he was still in town. Next post: Juvenile Moves: Testing on the Horizon?